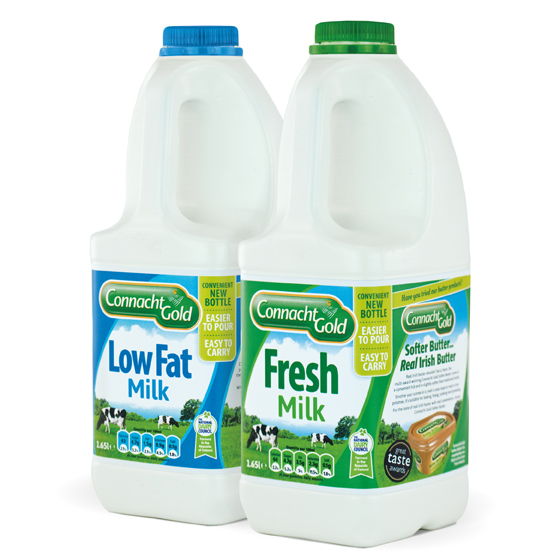 Building on the success of our previous redesign for Connacht Gold milks, this fresh new look hit the shelves in August. Capitalising on the high profile of the butters range, we adopted several visual elements, such as the grazing cattle, to build a strong visual language in support of the Connacht Gold brand. 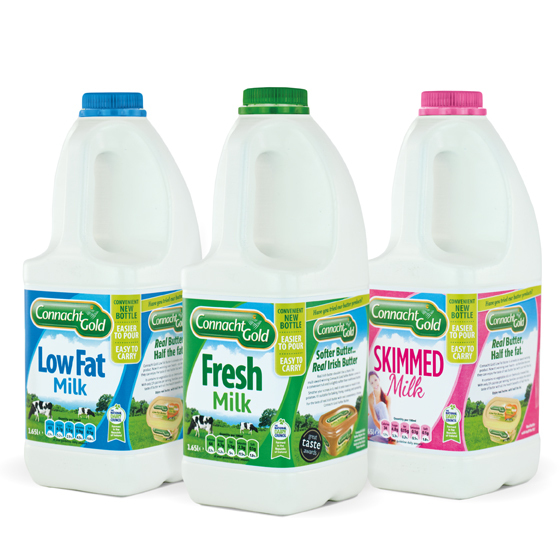 As the range develops through the addition of innovative pack formats such as the new 1.65L bottle, we felt it was vital to bolster its impact on shelf, while at the same time boosting product differentiation. 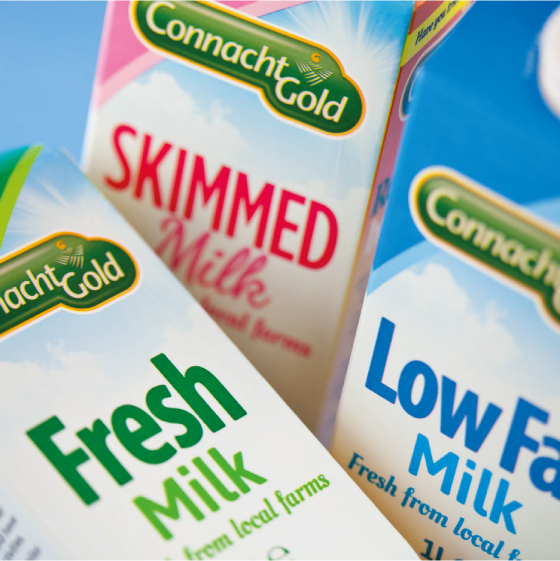 We achieved both by introducing bright fields of colour across each product, offset by the clear blue skies of the west of Ireland. 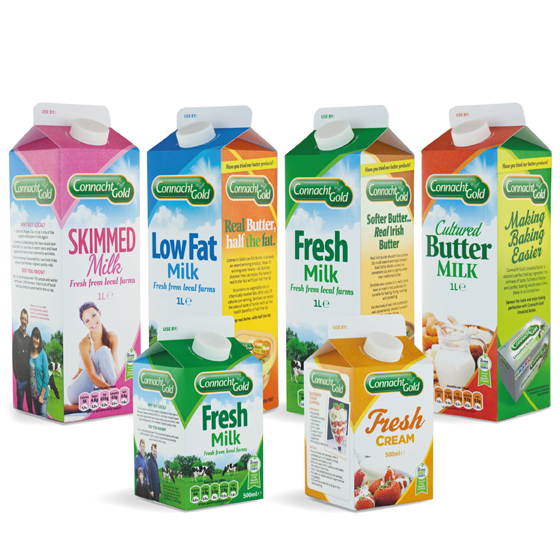 Finally, we designated one side of each pack to showcase complimentary products, effectively cross selling and strengthening the connections between the milk and butter offerings. The range has been warmly received and feedback from both client and consumers has been very positive.